We who enjoy life, liberty, and the pursuit of happiness can make a positive difference in the lives who make that possible. Doing it in a quiet way to respect them and their privacy is most important. 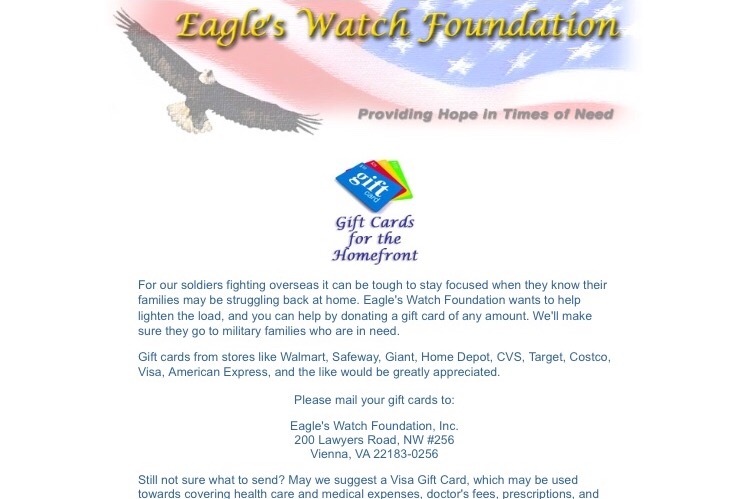 Partner with Eagle’s Watch Foundation to make this happen. Thank you Rachel for your donation! That is awesome!